Zola’s own recommended order for reading novels in the Rougon-Macquart Cycle. 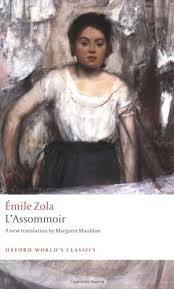 There could be a sense of anti-climax when reading Doctor Pascal, the last of Émile Zola’s great Rougon-Macquart cycle of twenty novels. Having followed five generations of the descendants of Adelaïde Fouque (Tante Dide) over the course of the Second Empire in France, the reader has come across occasional allusions to Doctor Pascal but there has been no hint that he is a person of much interest. He’s a bachelor, he lives in Plassans, and he’s spent his life recording the lives of his extended family in order to confirm his theories about heredity. 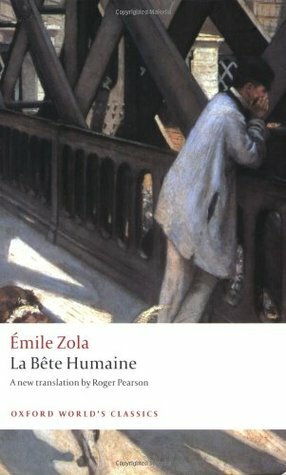 (This was Zola’s own pet theory too: he believed that heredity determined physical and mental health, and the bloodlines of the Rougon-Macquart family were a fictional demonstration that the descendants of the mad matriarch Adelaïde would turn out well or badly depending on whether they were of legitimate descent through her respectable marriage to Pierre Rougon, or from her more dubious relationship with the smuggler Macquart. 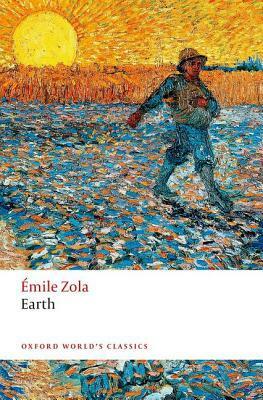 However, Zola believed that it was possible to transcend inheritance, as we shall see). Zola, genius that he was, created a fitting finale for his series. 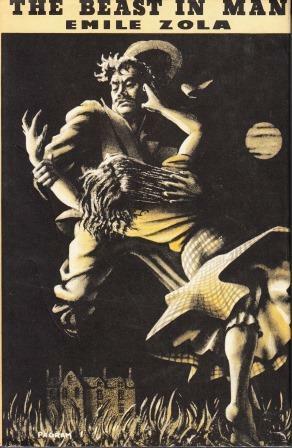 Doctor Pascal involves the conflict between religion and science; a May-September relationship; a fall from fortune; duty versus love; and at the end, a slightly ambiguous conclusion where – despite the image of a Madonna and babe – we are left wondering how the next generation will fare. Doctor Pascal is descended from the legitimate branch of the family, so he is respectable and hardworking, albeit a tad obsessive. His niece Clotilde is diligent and respectable too: she is the daughter of the financial wheeler-and-dealer Aristide Rougon who took the name Saccard after his spectacular fall from grace (see my review of L’argent (Money). She, however, has had nothing to do with her father, because she was packed off to Plassans after the death of her mother Angèle Sicardot. 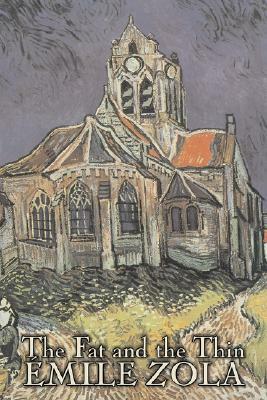 Clotilde was brought up by Doctor Pascal at his property, La Souleiade, where in his belief that trees grew straight if they were not interfered with, he had allowed her to grow up in her own way, after teaching her merely to read and write. As Pascal eventually tells her, it was Clotilde’s good fortune to inherit the best of her mother’s side of the family. When the story opens, Clotilde is a young woman, Pascal’s fond and dutiful secretary. It is because Clotilde sorts Pascal’s documents that she comes into conflict with him. A new firebrand preacher convinces her that Pascal’s research is an affront to God’s omnipotence, and egged on by the pious servant Martine and her grandmother Félicité who has her own reasons for wanting to get her hand on those documents, Clotilde first pleads with Pascal to destroy them, and then resolves to do it herself in order to save his soul. Pascal goes through a dreadful period of not being able to relax in his own home because he fears his niece’s newfound religiosity will impel her to burn his papers. He locks everything up, and he hides the key. For Pascal, the search for truth has been his life’s work. Well, after a long period of quiet hostility between them, Clotilde finally gets hold of the key to Pascal’s cupboard, but he surprises her just as she is about to destroy everything. 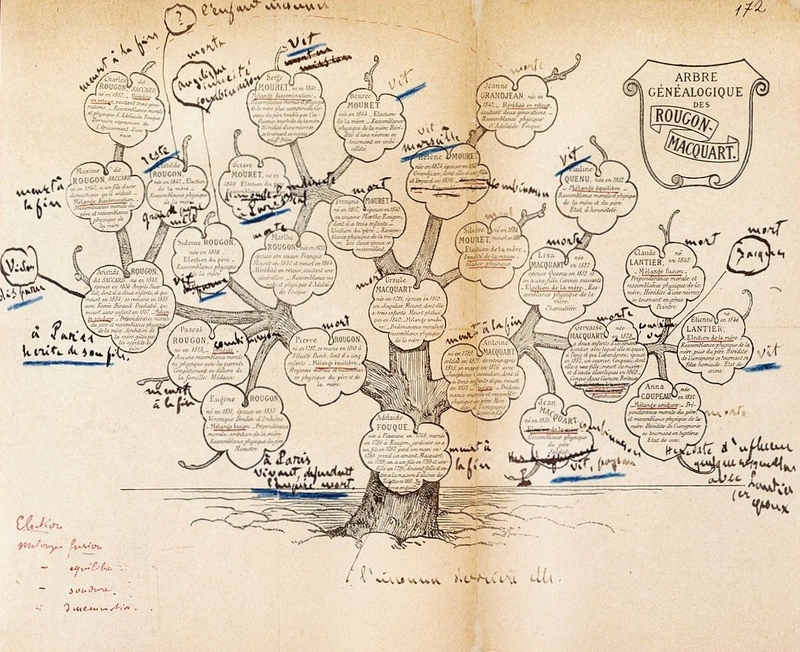 Although Pascal intended never to burden Clotilde with the shameful secrets of their shared Rougon-Macquart family tree, in his rage he now forces her to listen as he explains his theory and how various members of their extended family embody the evil inherited down through the generations from Adelaïde. Clotilde then begins to see his quest for the truth in a different light, and although the truth about their family history is painful to her, she admires Pascal’s honesty. She begins to share his optimism that perhaps his research might lead to a different outcome for future descendants. Despite their considerable age difference and their incestuous uncle-niece relationship, they fall in love. Pascal’s mother Félicité is not best pleased about this. Her hard-won middle-class respectability is at threat because the pair show no sign of wanting to get married, and she is very anxious that Pascal’s research not ever be made public. She doesn’t want anyone to know about her boozy brother-in-law Antoine Macquart and her mad mother-in-law Adelaide (Tante Dide) who has been safely hidden away in an asylum for decades. Although Félicité is not a sympathetic character, her desire for privacy is something with which many of us might identify. Pascal, oblivious to all but his quest for truth, has never considered the impact on his family. Do today’s family historians cheerfully uploading their family trees to the cloud ever stop to consider that for one reason or another, some family members might object? Clotilde and Pascal in their idyll are oblivious to this: Martine the faithful servant keeps Félicité at bay. But Martine cannot protect them from other troubles. Unlike almost everyone else in his grasping, avaricious family, Pascal is not interested in money. His income comes from investments managed by the local notary, and any money he receives from his (mostly impecunious) patients lies untouched in a drawer in the house (apart from when Pascal imprudently buys Clotilde expensive jewellery – which she doesn’t really want anyway). Martine manages the household comfortably on a shoestring, and all is well for a good long time. But eventually greed raises its ugly head once more, and the notary does a bunk with everyone’s money, leaving Pascal ruined. Félicité (whose money is unaffected) sees her opportunity, but Pascal who is both naïve about money and stubborn about his mother, won’t have her in the house. La Souleiade is almost down to its last potato, when Clotilde gets a call for help from Paris. Her brother Maxime (he of the ‘uncontrollable appetites’ featured in La Curée), is now an invalid, and he wants her help. Clotilde, of course, doesn’t want to go, but Félicité insists it is her duty, and Pascal persuades himself that Clotilde should not be suffering their poverty. All this time, of course, Pascal has been getting older, and tragedy strikes while Clotilde is reluctantly doing her duty in Paris. 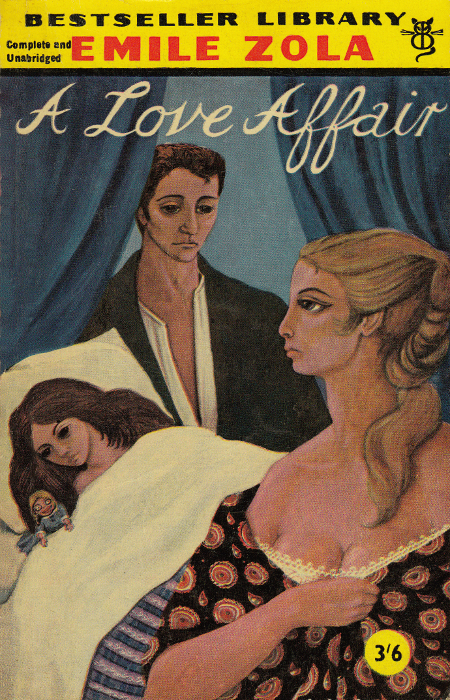 But Félicité doesn’t get exactly what she wants because the novel concludes with Clotilde in possession of the family tree and with the scandalous birth of Pascal and Clotilde’s son. This birth is a sign of hope which contrasts with the five generations of deaths which symbolise an end to the legacy of Mad old Adelaide. She dies, at the age of 105; so does her alcoholic son Antoine Macquart (in a truly nauseating death); and her grandson Pascal Rougon dies after a series of heart attacks. There is also the death of the dissolute Maxime (Adelaide’s great-grandson by Aristide Rougon-Saccard), and of his feeble-minded haemophiliac son Charles. Clotilde, musing on how her life has turned out, recognises that Pascal was not just being kind in removing her from the toxic environment of her father’s home in Paris, he was ‘experimenting’ too. She had flourished in a different environment and ended by becoming a well-balanced and rational woman. 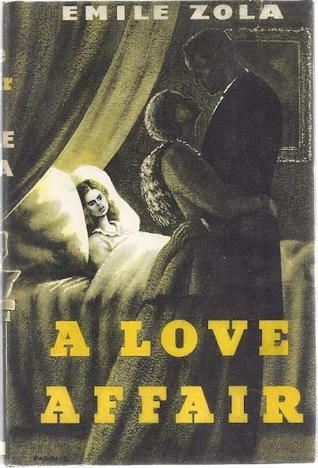 The novel ends with Clotilde nursing her babe and it all looks quite promising. Except that this nameless child is the grandson of Aristide Saccard, and the product of an incestuous relationship, is he not? Source: Personal copy, a freebie ‘purchased’ for the Kindle from Amazon. Cross-posted at ANZ LitLovers for the Zola Project. There are so many wonderful passages in Le Ventre de Paris that I am joining Jonathan and posting an excerpt. This is only part of the lengthy, but interesting, description of Gavard. It appears early in the second fifth of the book. The translation, by Ernest Alfred Vizetelly, is titled The Fat and the Thin, and is available free from Project Gutenberg. As he was in the habit of visiting the Quenu-Gradelles almost daily, he determined to take up his residence nearer to them, and came to live in the Rue de la Cossonnerie. The neighbouring markets, with their noisy uproar and endless chatter, quite fascinated him; and he decided to hire a stall in the poultry pavilion, just for the purpose of amusing himself and occupying his idle hours with all the gossip. Thenceforth he lived amidst ceaselesstittle-tattle, acquainted with every little scandal in the neighbourhood, his head buzzing with the incessant yelping around him. He blissfully tasted a thousand titillating delights, having at last found his true element, and bathing in it, with the voluptuous pleasure of a carp swimming in the sunshine. Florent would sometimes go to see him at his stall. At last, in the middle of the alley, near the water-taps, he found Gavard ranting away in his shirt-sleeves, in front of his stall, with his arms crossed over the bib of his blue apron. He reigned there, in a gracious, condescending way, over a group of ten or twelve women. He was the only male dealer in that part of the market. He was so fond of wagging his tongue that he had quarrelled with five or six girls whom he had successively engaged to attend to his stall, and had now made up his mind to sell his goods himself, naively explaining that the silly women spent the whole blessed day in gossiping, and that it was beyond his power to manage them. 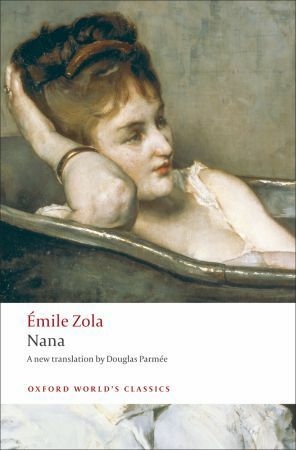 Nana (1880) is one of Zola’s many masterpieces in the Rougon-Macquart cycle, no.17 in the recommended reading order. It follows the spectacular career of the young girl who ran wild at the end of L’Assommoir (1877) (see my review) and was last seen beginning her life as a prostitute, entering high society in a grand carriage as her alcoholic mother dies pathetically in abject poverty. In Nana she starts out as a showgirl of very little talent in a (fictional) opera called La blonde Vénus at the Théâtre des Variétés, but her beauty makes her the talk of the town. From the moment she flaunts her gorgeous body on stage, the audience is agog, and the men who fancy her almost batter down the stage door to gain access to her dressing-room. While she’s not a cunning woman, and she all too often acts against her own best interests, she soon realises that what she needs is a wealthy patron who can set her up in style, and she finds a helpful servant called Zoé to manage the queues so that they don’t bump into each other. That idyll in the Loire also brings her into contact with young, naïve Georges Hugon. He comes from a very respectable old family and his widowed mother is mortified by the sudden presence of Nana and her disreputable friends in her region, but Georges loses his innocence in no time, and so does his brother Philippe who was subsequently despatched to rescue him. Both of these young men come to a terrible end, leaving Madame Hugon devastated. 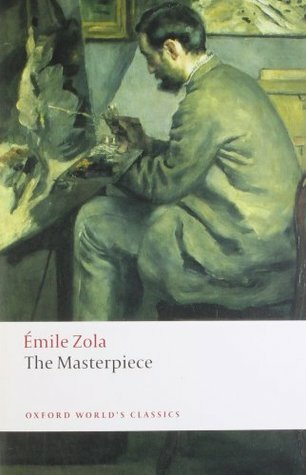 Zola paints the indifference of society to the financial carnage with a mocking pen, but he does not spare his readers an insight into more catastrophic consequences. Vandeuvres has a vast fortune from inheritance which he was busy wasting even before he met Nana. But by the time Nana has finished with him, his only recourse to recover what he has lost is to gamble vast amounts at the racecourse. The scandal that ensues after he gets involved in a betting scam sends him to despair, but society moves on. And so does Nana. Her most spectacular victim is Count Muffat, a pious and respectable man of old family who loses his head over her and ends up in ruin. He’s a foolish man, but it’s hard not to feel a little pity for him when he realises that he’s spent his fortune buying Nana’s fidelity to him, but has never had it. Her mansion in the heart of Paris is, with its red walls and suffocating heat is a holocaust consuming the honour of the whole of [his] ancient house, and in a superb irony, Muffat’s own wife duplicates the décor in his own home as she, too, descends into debauchery. In a magnificent set scene at his daughter’s extravagant engagement party, Muffat is forced to shake the hand of his rival and Nana’s lover Fouchery to the strains of The Blonde Venus waltz. Everyone there is aware of Nana’s presence although she is not there in person: she is responsible for the décor, for the music, for Muffat’s choice of future son-in-law and for his forced reconciliation with his wife. Muffat, long tortured by the qualms of his Catholic conscience, finally recognises his degradation when he stumbles in on his own father-in-law in bed with Nana. 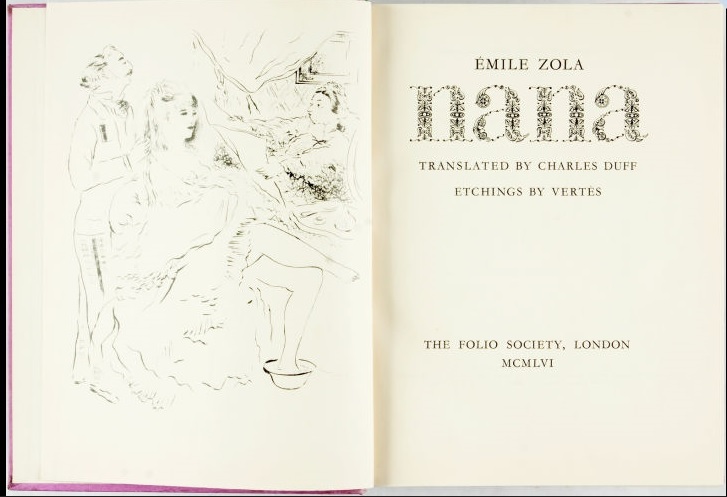 It is from this point on that Zola starts to chart the downfall of all of Nana’s men, and finally, of Nana herself, exhausted by her own inexhaustible folly and greed, and succumbing at the last, to the corruption of smallpox. Her death is so horrible and so noxious that none but her old rival Rose will care for her; her men stand vigil outside her hotel window, but they are talking of politics, not of love. It is a pathetic end for a girl who, in the Loire Valley, dreamed of achieving respectability like old Irma d’Anglars, a former Parisian prostitute who lives in a grand chateau bought by a former lover and has reinvented herself as a pious old lady. Nana had been enchanted by country life, and was ecstatic that her small child could live with her there. Alas, that idyll among the plants blooming in the rain was interrupted by the arrival of young Georges, and before long her men had followed her from Paris, bringing their sordid demands with them. I can’t imagine what made him write that, I really can’t. What is more authentic is that, like many victims of domestic violence, Nana blames herself, and goes to great lengths to please and placate a man who uses any excuse at fault-finding to beat her. And as is so often the case, those who witness it do nothing – and even Madame Lerat’s advice to leave him is motivated by wanting Nana to return to earning money. Her submissiveness is in marked contrast to her usual high-handed behaviour, and she ends up having to go back to street work because he won’t give her any money. It is only when he throws her out, that she finally escapes from this situation*. Unlike most of the characters in this novel, Nana is a complex character. (Even Muffat is a bit of a parody). In some ways she is incredibly naïve, and her hot temper leads her into all sorts of difficulties. She wants to be well-off and respectable, but because she is so improvident, she throws her chances away, first with Steiner and then with Muffat. She thrives on her celebrity status, exulting in the cheers of the crowd at the race course when they cheer the winning horse with her name. She is scatter-brained, quixotic, and extravagant in manner as well as with money, and she takes a perverse pride in ruining her lovers. But although there is a lesbian affair between her and young Satin, and although she often derides men, Nana often enjoys their company as friends and regards the sexual act as an act of friendship. (Except for the marriage with Fontan), she is a woman who has agency over her own body and her own career but not in a way that Zola approves. She is a symbol of French corruption under the Second Empire, and her characterisation has to serve that. The settings of the novel allow for the juxtaposition of the ‘old’ Paris with the new, showing each time how the vulgar and the brash intrude into polite society. In grand old houses, in the countryside, at the theatre and at the races, the men straddle both worlds, bringing moral decay with them. Noticeably, there are no young people offering redemption, only the elderly helplessly deploring the situation. Even Estelle, the plain young girl who is married off to Nana’s old lover Daguenet, is judged incapable of reforming him, she’s completely insignificant. And as the novel ends with the declaration of war against Bismarck, even the saucy ladies who came to view Nana’s grotesque body are making plans to save what they can from the coming disaster. 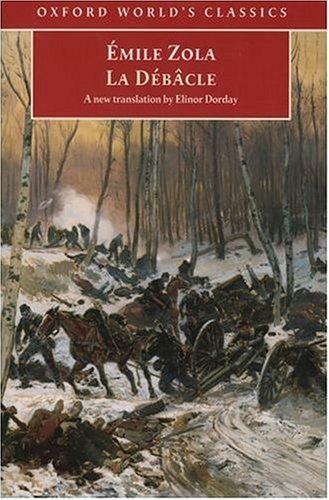 As always with this series of Oxford World’s Classic, the artwork on the cover is an aptly chosen painting. This one is a detail from ‘The Bath’ by Alfred George Stevens in the Musée d’Orsay, but the image has been reversed. *If you or someone you know is impacted by sexual assault, domestic or family violence, call 1800RESPECT on 1800 737 732 or visit 1800RESPECT.org.au. In an emergency, call 000. For more information about a service in your state or local area download the DAISY App in the App Store or Google Play.